Whoa! Someone needs to do a few miles on the treadmill! 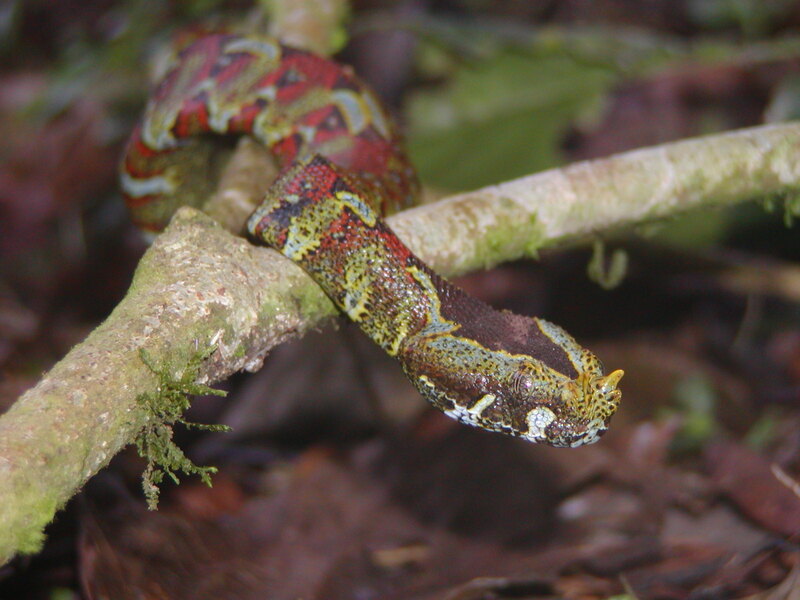 The Rhinoceros Viper is a big, beefy snake from the tropical forests of western and central Africa. 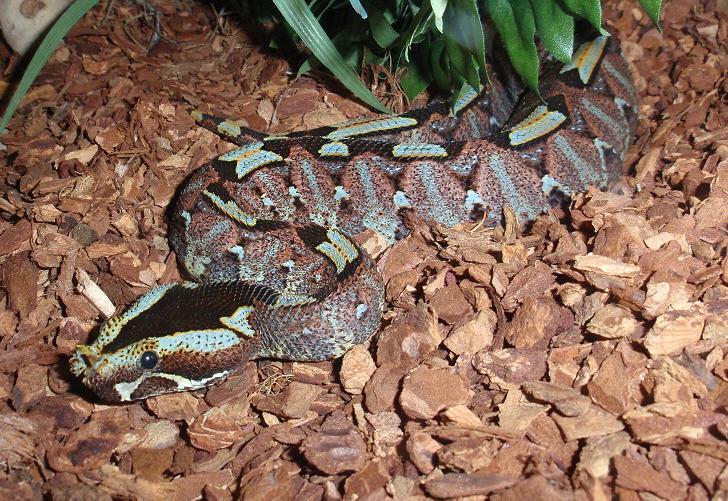 They're not extraordinarily long, reaching more or less 90 cm (3 feet) in length, but they are stout and thick-bodied. 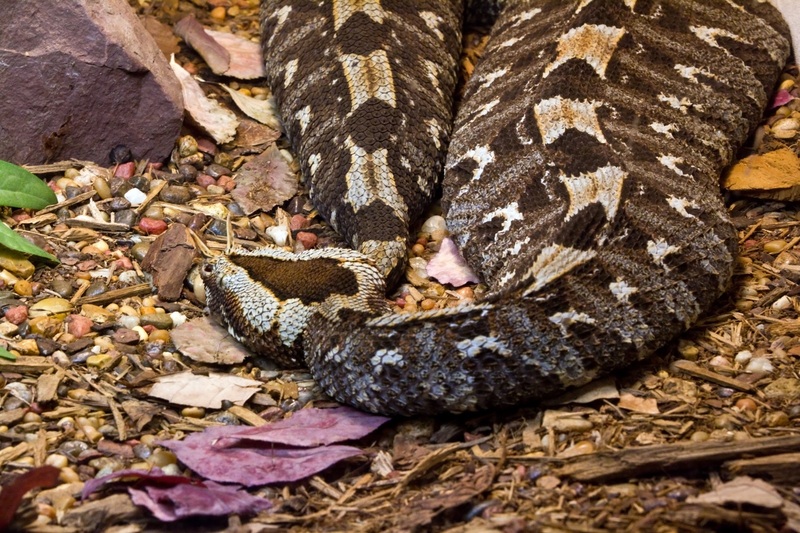 And you have a lot of time to admire them because Rhinoceros Vipers enjoy a good, long lie-down. While they have been seen swimming in rivers and climbing up to 3 metres (10 feet) up a tree, they usually spend their time lying in wait on the ground. When they need to actually move around the place they do so very sluggishly. 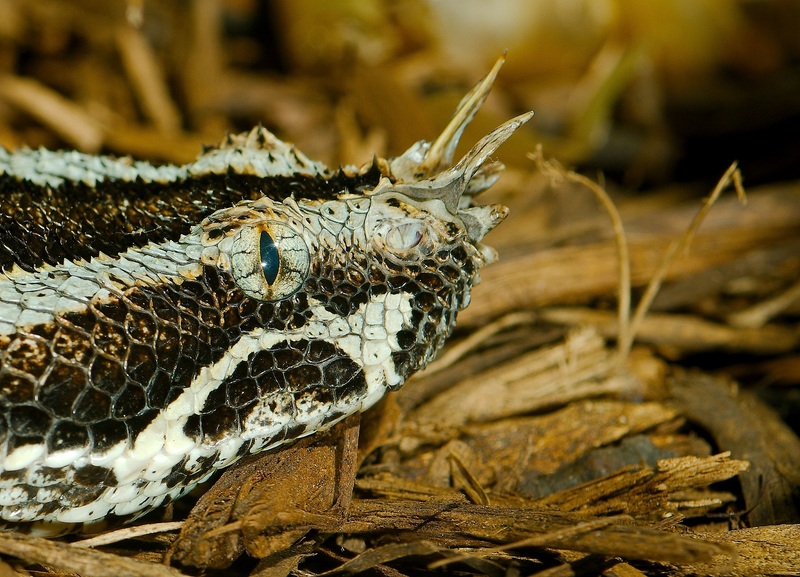 When a small mammal, or possibly a frog, wanders too close, the Rhinoceros Viper strikes with shocking speed and punishing accuracy. They bite, fangs delve into flesh and powerful toxins are injected, The venom sets about attacking the circulatory system, causing tissue damage and internal bleeding. 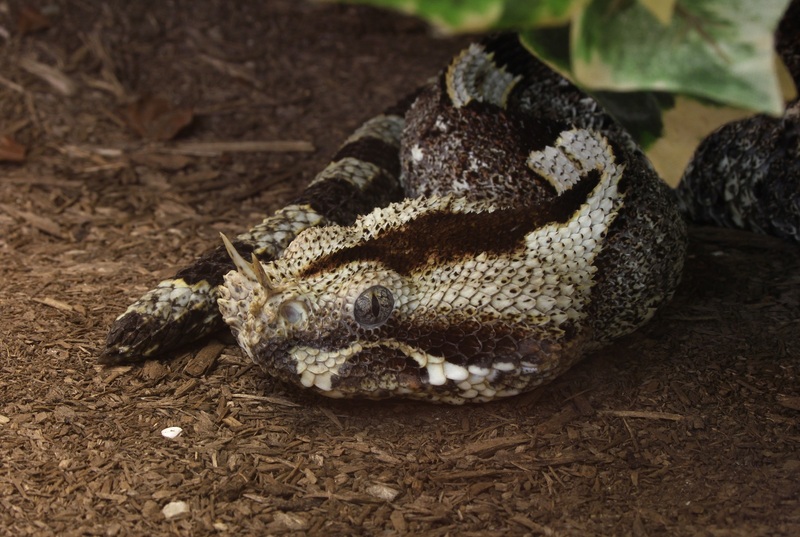 The Rhinoceros Viper is extremely dangerous, but they're mercifully placid compared to some, more ill-tempered, snakes. And if you wander through the forests of Africa one evening and unknowingly approach a well-camouflaged Rhino, it may provide you with a stern warning. 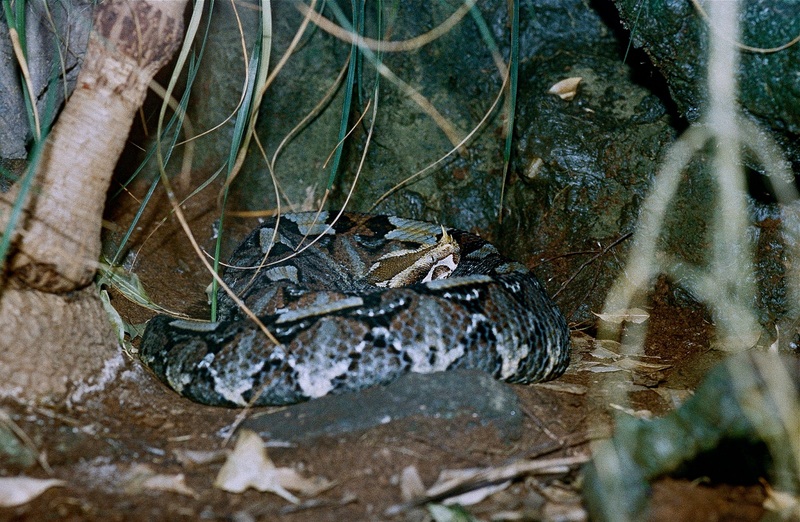 Rhinoceros Vipers are one of several species that are also known as Puff Adders. When they feel threatened they puff themselves up, expanding their already considerable girth, and hiss loudly. Now you know you're about to step on a massive, venomous snake. Thanks, massive venomous snake! 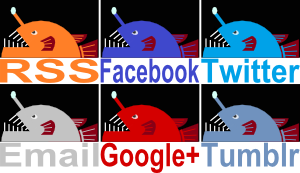 Oh, and the horns? The whole Rhinoceros bit? That would appear to be purely ornamental. @Porakiya Draekojin: Ditto. I had no idea those things could serve as cutlery! @TexWisGirl: Good thing it'll warn you of its presence! Wow, they look like someone stuck a pin in them and let all the air out. ...please don't tell them I said that. Whoever named these things knew that a Rhino generally just has a horn in the middle, right? Like a fat unicorn. Were all the properly horned things taken? I like big... snakes and I can not lie! From a safe distance, that is. I'm digging the spikey things on its nose though! @Erik Sanderson: Those spikes are amazing!